Although Massachusetts has successfully achieved the lowest rate of uninsurance in the nation, thousands of individuals and families still live with the potential adverse health effects and financial impacts of not having health insurance. In 2015, an estimated 200,000 individuals in Massachusetts did not have health insurance coverage. 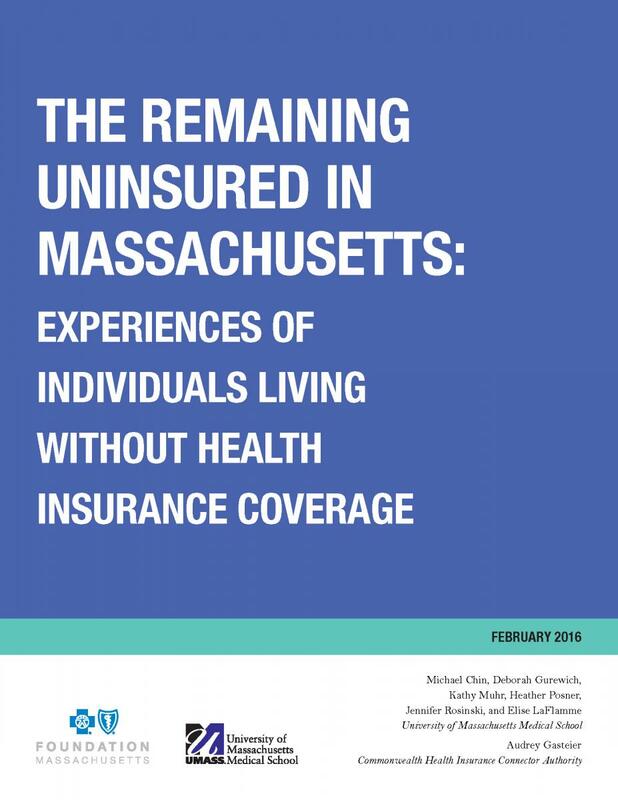 This report, prepared by a team led by Michael Chin and Deborah Gurewich of the University of Massachusetts Medical School, and Audrey Gasteier of the Commonwealth Health Insurance Connector Authority, summarizes the findings of a qualitative study in which 33 uninsured individuals were interviewed about their experience living without health insurance. Findings from this study can help to better understand the remaining barriers to coverage and inform future strategies aimed at reducing the number of uninsured in the state. The report concludes with the personal stories of five individuals who have experienced first-hand the challenges and consequences of being uninsured.